Raghav Lakhanpal has been re-nominated to contest from Saharanpur, which saw communal polarisation in the aftermath of the Muzaffarnagar riots in 2013. The three-time former MLA will once again be contesting against Congress’ Imran Masood, whom he defeated in the 2014 election by a margin of over 65,000 votes. With the Muslims constituting 45 percent of the Saharanpur population, Lakhanpal will be banking on the consolidation of Hindu votes against the Congress and 'mahagathbandhan' candidates. Former Indian Army chief General VK Singh, who joined the BJP in March 2014, scored a historic victory in Ghaziabad constituency after defeating Congress leader Raj Babbar by a whooping margin of over 5.67 lakh votes. He subsequently became an MoS in the Modi cabinet. In the upcoming election, Singh is expected to have a face off with Samajwadi Party’s Suresh Bansal and Congress candidate Dolly Sharma. Union Minister Santosh Kumar Gangwar will be fighting his eighth election from Bareilly. Since 1991, he has only lost once — 2009 elections — from this constituency. 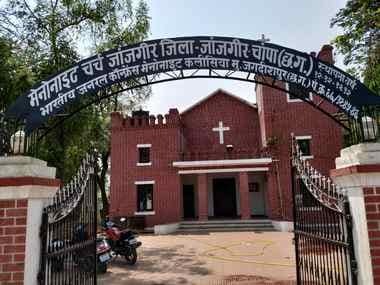 However, the new alliance between Samajwadi Party and the BSP may pose a threat to the electorate arithmetic of Bareilly, where Muslims have a significant presence. Home minister Rajnath Singh will be contesting from the BJP bastion of Lucknow for the second consecutive time. Singh won the last election by a margin of over 2.7 lakh votes. 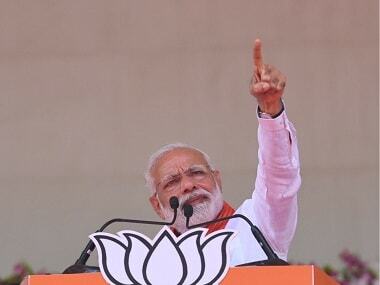 He had defeated incumbent Uttar Pradesh cabinet minister Ritu Bahuguna Joshi, who was then with the Congress. Lucknow has been with the BJP since 1991, when former prime minister Atal Bihari Vajpayee first won the seat. He continued to represent the constituency till 2009 before making way for his protégé Lalji Tandon. Kunwar Bharatendra Singh, a Jat leader, will be seeking re-election from Bijnor, a key constituency in western Uttar Pradesh. A two-term MLA, Singh is also an accused in the 2013 Muzaffarnagar riots. In the last election, he defeated Shahnawaz Rana of the Samajwadi Party by over 2 lakh votes. This time, the main fight is expected to be between him and Maluk Nagar, the mahagathbandhan candidate. Jitendra Singh is the sitting member of Parliament of Udhampur constituency in Jammu and Kashmir after he beat Congress veteran and former chief minister Ghulam Nabi Azad. In his electoral debut in 2014, Singh was credited of bringing the constituency back to BJP after two consecutive Congress wins. In the BJP-led Central government, the 62-year-old is a Minister of State (MoS) for Prime Minister’s Office and MoS (independent charge) for Development of North Eastern Region. Born into a Rajput family, Singh is a doctor with expertise in diabetes and endocrinology. He also has several books to his credit and has also been the BJP chief spokesperson for Jammu and Kashmir in the past. Jugal Kishore Sharma won the Nagrota Assembly seat twice — in 2002 and 2008. He fought the 2014 Lok Sabha election from Jammu and defeated two-time MP Madan Lal Sharma from the Congress. He is also a member of the standing committee on rural development and of the consultative committee under Ministry of Power and Ministry of New and Renewable Energy. It was during his tenure that the central government sanctioned a Rs 5,100-crore Jammu-Poonch National Highway project as well as the Jammu-Poonch rail-line project. Parts of his constituency lie on border areas and are often hit by heavy shelling. It was during his term that the central government began construction of over 14,000 safety bunkers. Having defeated Madan Lal Sharma by over 2 lakh votes in the 2014 election and riding high on the development projects, the 56-year-old is hopeful of a second term. Alphons Kannanthanam or KJ Alphons was one of the contenders for the much-sought-after Pathanamthitta constituency but the saffron party has decided to field him from Ernakulam — currently held by PV Thomas from Congress. A former civil servant, Alphons is currently the MoS for Tourism with independent charge. He had joined the BJP in 2011. A low profile Rajya Sabha MP, Alphons was in the spotlight in December 2018 when the Kerala High Court directed the Additional Director General of Police to investigate a four-year-old criminal case against him. With an eye on the Hindu votebank, particularly from the Nair community, on the sidelines of the Sabrimala agitations, Alphons announced Rs 85.23 crore for the state for developing a spiritual tourism circuit. This circuit will include 133 places of worship in Kerala. Kummanam Rajasekharan was the governor of Mizoram and he resigned earlier in March to be able to contest in the Lok Sabha election. With a ticket from the Kerala capital, he is pitted against Congress veteran and two-time MP Shashi Tharoor. A former BJP Kerala president, the 66-year-old has been vocal about the Sabarimala issue. Sympathising with the agitators, he has often said that rules of one temple should not be applied to another. He has also spoken out against the Chief Electoral Officer’s (CEO) gag order on using the Sabarimala row during election campaigning. Rajasekharan is allegedly backed by the RSS and the Sabarimala Karma Samiti. Tharoor, meanwhile has written to the CEO, alleging that Rajasekharan was using communalism in his campaign, an allegation that Rajasekharan has refuted. Arjun Ram Meghwal, a two-time MP from Bikaner, won the seat in 2014 with a margin of over 3.08 lakh votes. The 66-year-old is a former IAS officer. According to an analysis by the National Election Watch and the Association for Democratic Reforms, Meghwal’s assets grew by 608 percent between 2009 and 2014. Meanwhile, last week, BJP veteran from Rajasthan Devi Singh Bhati resigned from the party over Meghwal’s nomination for the third time. Bhati alleged that Meghwal had campaigned against party candidates during the state Assembly elections. Gajendra Singh Shekhawat, current MoS for Agriculture and Farmer’s Welfare, will again contest on a BJP ticket from Jodhpur. The 52-year-old has often been at loggerheads with the Congress-led state government over issues pertaining to farmers in the region. He has blamed the state government for not providing information to the Centre on farmers eligible for the Prime Minister Kisan Samman Nidhi Yojana. He is likely to face stiff competition from the Congress in his constituency, which is considered the home turf of chief minister and Congress leader Ashok Gehlot. This time, the grand old party is likely to field Gehlot’s son Vaibhav from Jodhpur. In the 2014 general election, Ramesh Pokhriyal Nishank won with a majority of over 1.77 lakh votes. He had defeated Renuka Rawat, wife of Congress veteran and former chief minister Harish Rawat. Ramesh served as the Uttarakhand chief minister between 2009 and 2011. Hailing from the Pauri region of the state, he is likely to face some opposition from his electorate as he doesn’t belong to Haridwar. Referred to as an astute politician, he has held several portfolios in the state cabinet and is considered to be a ‘people’s man’. He might be up against former chief minister Harish Rawat, who may contest from Haridwar or Nainital. Daggubatti Purandeshwari will return to contest from the Vishakhapatnam constituency after a decade. The 40-year-old politician was elected MP from Vishakhapatnam in 2009 on a Congress ticket. In 2014, she joined the BJP and fought from Rajampet constituency and lost. Daughter of Telugu Desam Party founder NT Rama Rao, Purandeshwari is currently the chief of BJP’s Mahila Morcha. In 2004, she had represented the Bapatla constituency and also served as the MoS for Human Resource Development. Earlier in 2019, her husband Daggubati Venkateswara Rao and son Hitesh Chenchuram met YSRCP chief Jaganmohan Reddy, kicking off speculation about a switch in parties. However, she clarified that she would stick to the BJP. 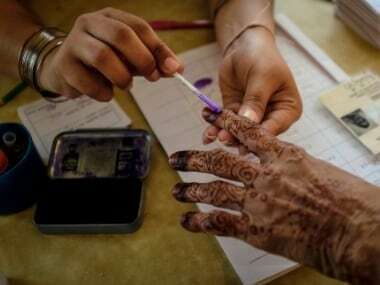 She was then appointed chairperson of the committee responsible for preparing the election manifesto in Andhra Pradesh. The Vishakhapatnam seat is currently held by Kambhampati Hari Babu from BJP. MoS for Home Affairs Kiren Rijiju will be fighting for his re-election to the Parliament from the Arunachal West constituency, which he first represented between 2004 and 2009. His main opponents will be the Congress, which announced ex-chief minister Nabam Tuki as its candidate, and National People’s Party. Baijayant ‘Jay’ Panda will be contesting the election for the first time as a BJP candidate. Panda, who quit the BJD in early 2018, has been representing Kendrapara since 2009. Panda, who is also an industrialist, was a Rajya Sabha member between 2000 and 2009. Panda, who was once close to Odisha chief minister Naveen Pattnaik, joined the BJP in March 2019 and was immediately appointed one of the vice-presidents of the party. The former IAS officer of the Odisha cadre, Sarangi will be entering the electoral battlefield for the first time. She had joined the party in November 2018 after taking voluntary retirement in September of that year. Sarangi’s last posting was in the Ministry of Rural Development, where she was a Joint Secretary in-charge of MGNREGA. She gained prominence in Odisha when she served as Bhubaneshwar’s Municipal Commissioner between 2006 and 2009. The national secretary of the BJP and prominent face of Tamil Nadu unit of the party is set to contest from Congress stronghold of Sivaganga. In the last election, Raja secured the third position as PR Senthilnathan won the seat by over 2 lakh votes. 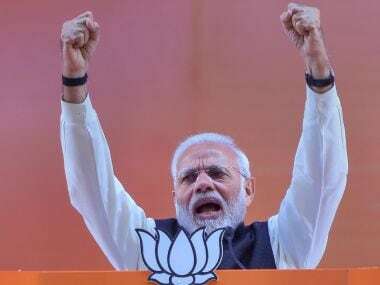 In the coming election, the fight is expected to be between the Congress — which is part of the DMK-led alliance — and the BJP, which is in alliance with AIADMK. Congress is yet to announce its candidate, but there are speculations about former finance minister P Chidambaram's son Karti, who also contested the last election, being fielded from this constituency. The president of the Tamil Nadu unit of the BJP, Sounderrajan will take on Kanimozhi, the daughter of DMK’s late patriarch M Karunanidhi. In the past, Sounderrajan fought the 2009 Lok Sabha elections from the Chennai North constituency but came third. Chandra Kumar Bose, the grandson of Sarat Chandra Bose and grand nephew of Netaji Subhash Chandra Bose, has been BJP’s face in Bengal in the last three years. He will make his electoral debut in Kolkata Dakshin, the former pocket borough of Chief Minister Mamata Banerjee. According to reports, BJP is keen to use his familial ties with Netaji to strike a chord with the Bengali voters. 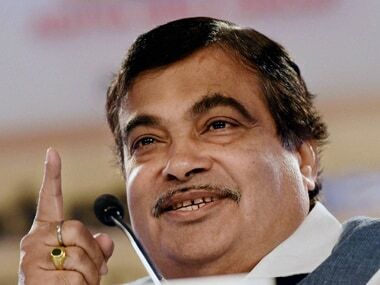 An RSS product, Gadkari is the current Minister for Road Transport and Highways, Shipping, Water Resources, River Development and Ganga Rejuvenation. He formerly held the rural development, panchayati raj and drinking water and sanitation portfolios. Hailing from Nagpur, he was born on 27 May, 1957 and served as the PWD minister in the Maharashtra government from 1995 to 99. He was also elected as the BJP president in 2010. In 2014, Gadkari won the Nagpur Lok Sabha seat, defeating Congress leader Vilas Muttemwar. In the upcoming election, he will be taking on Congress’ Nana Patole. Former Union minister Gopinath Munde’s daughter, Pritam made her political debut in 2014 when she won the Beed Lok Sabha bypolls following her father’s death in June 2014. She defeated former Congress minister Ashok Patil by more than 7 lakh votes. Top leaders of the BJP, including Modi and Amit Shah, had campaigned for her at that time. She is a former mayor of the Guwahati Municipal Corporation. 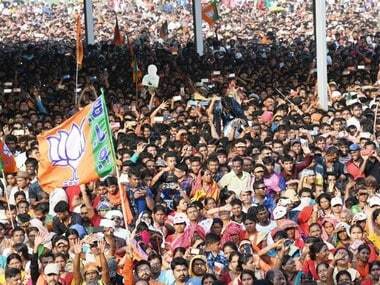 The BJP has fielded her from the Guwahati Lok Sabha seat which is considered to be one of the toughest electoral battlegrounds in the state due to its diverse voter base. Ojha will be contesting the election in place of Union minister Bijoya Chakraborty, who has been at the seat since 1999. This will mark Ojha’s electoral debut at the national level. ““I am extremely happy, but this happiness comes with a lot of responsibility. I am overwhelmed by the support by party members and well-wishers. I am confident of winning,” Ojha told News18. Born in Sirsi, Uttara Kannada district, Hegde is a 5-time MP. He became the Union MoS for Skill Development and Entrepreneurship in September 2017. He is known for making inflammatory statements and courting controversy. During a speech in Kodagu in January, Hegde said that, “Regardless of caste and religion, a hand that touches a Hindu girl should not exist.” When Congress leader Dinesh Gundu Rao objected to it, Hegde said he knew Rao only “as a guy who ran behind a Muslim lady”. In the past, he has also compared Dalits to barking dogs and said the BJP is in power to change the Constitution. Arkalgud Manju is another Congress rebel who recently joined the BJP on 18 March. He said he left the party for the “sake of principles” and said the Congress would get uprooted in Karnataka if the coalition government continued in the state. A three-term Arkalgud MLA, Manju won the Assembly constituency as a BJP candidate in 1999. He joined the Congress later and retained the seat in 2008 and 2013, serving as a minister in Siddaramaiah’s Cabinet. However, he lost to JD(S)’ AT Ramaswamy In the 2018 Assembly elections. Manju will be facing JD(S) supremo HD Deve Gowda’s grandson Prajwal Revanna in the upcoming polls.